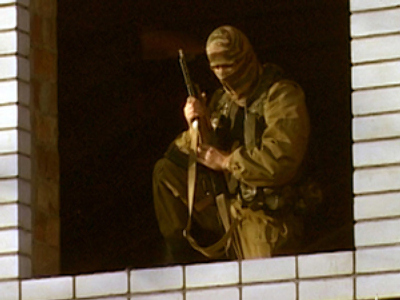 A militants’ hideout is being neutralized during a special operation in the Russian Republic of Kabardino-Balkaria. At least ten militants are sealed in the abandoned mine, which is approximately 100 km long. Police have also found and defused a truck with explosives near the mine where the gunmen are blocked. Three militants have been killed and one policeman died in the crossfire; the counter-terrorist operation started on Wednesday. The federal forces started the assault on the mine after the gunmen, involved in a terror attack and assassination of police officers in the republic, ignored all demands to surrender and opened fire.